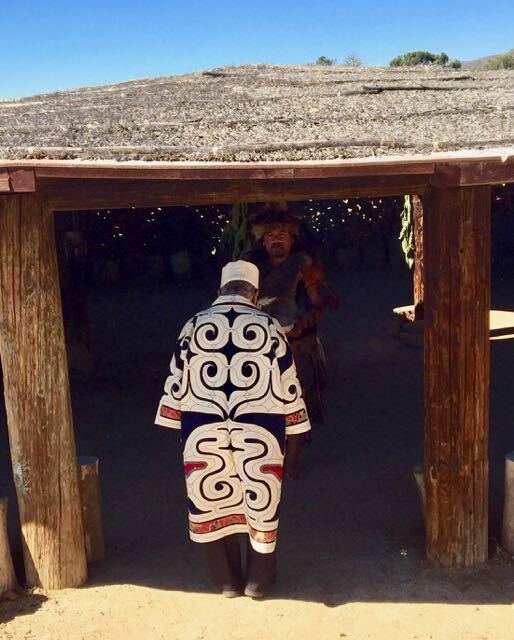 Beautiful Ceremonial Exchange and Gathering at Wishtoyo Chumash Village with Ainu Representatives. The Ainu are the Indigenous People of Hokkaido Japan. We experienced a powerful exchange of tradition, culture, gifts and conversation with Ainu repesentatives, Mr. Shimuizu, President of Kotan-No-Ka, and Mr. Hashimoto. Our women sang the Ainu guests into the ceremonial gathering area called "sil'i'yik" as Mati Waiya cleansed them with our sacred sage. 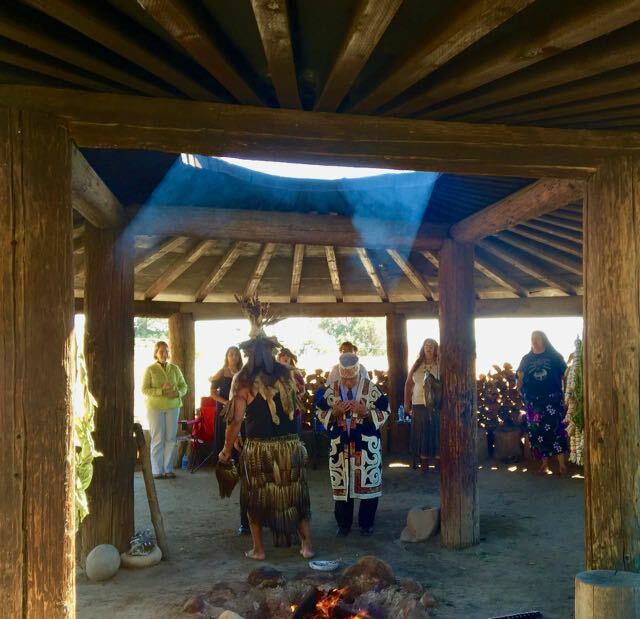 We learned that we have much in common through traditional practice and in the protection of our Indignenous knowledge, sacred sites, repatriation of our ancestors, and a healthy future of cultural resources and healthy environment for future generations. Special thanks to Professor Ann-elise Lewallen, Author of "The Fabric of Indigeneity: Ainu Identity, Gender, and Settler Colonialism in Japan," for her extraordinary skill and grace as interpreter, to Wishtoyo's First Nations Officer, Alicia Corder and Bob Morris of Paradise Cove Cafe who provided abundant and decadent Paella for the occassion.